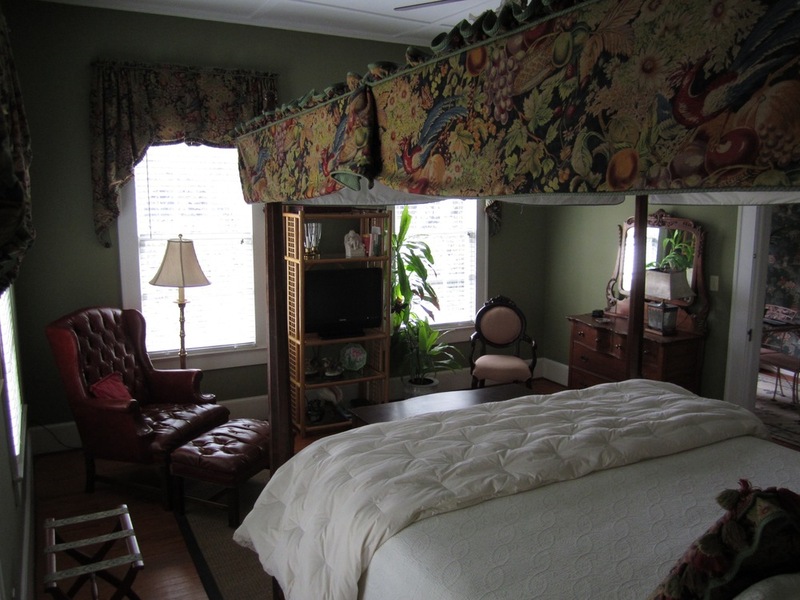 Located in downtown Statesboro, this privately owned Bed & Breakfast is a staple of fine, Southern hospitality. Opened by Helen Cannon in January of 1992, this lovely home offers a unique experience with casual elegance, warm southern charm and a relaxed atmosphere. The Inn, now known as Georgia's Bed & Breakfast, houses four guest rooms; each with a unique style and charm of its own. All of the bedrooms have ceiling fans, sumptuous linens and free wifi connection. Three of the guests rooms have a private bath, and fourth is available as a suite-style option. Built in 1890, it was originally the home of the prominent Averitt family. Barney Averitt, the owner of a local a local sawmill, used his business to his advantage and installed beautiful hardwood floors throughout the entire home. By using maple, pine and oak, he created one-of-a-kind floors in the pardons and dining room. He also recued the black Italian marble fireplace surround from the original First Federal Bank during one of its remodels, Further interior alterations add modern comforts while maintaining the historical charm of the Federalist style home. The house is now filled with the life and love for which it is know. The professionally designed interior enhances the orginal characteristics of the beautiful home, showcasing family antiques, collectibles and a hand-painted mural in the foyer. Every room tells a story of family gatherings and celebrations. In residence: a lovely innkeeper who you'll find in the kitchen. She'll most likely invite you to sit down to a glass of authentic Southern sweet tea and lots conversation. The Alabama room is the largest of the guest rooms and contains a four poster King bed with down comforter, a sitting area & a private bathroom. 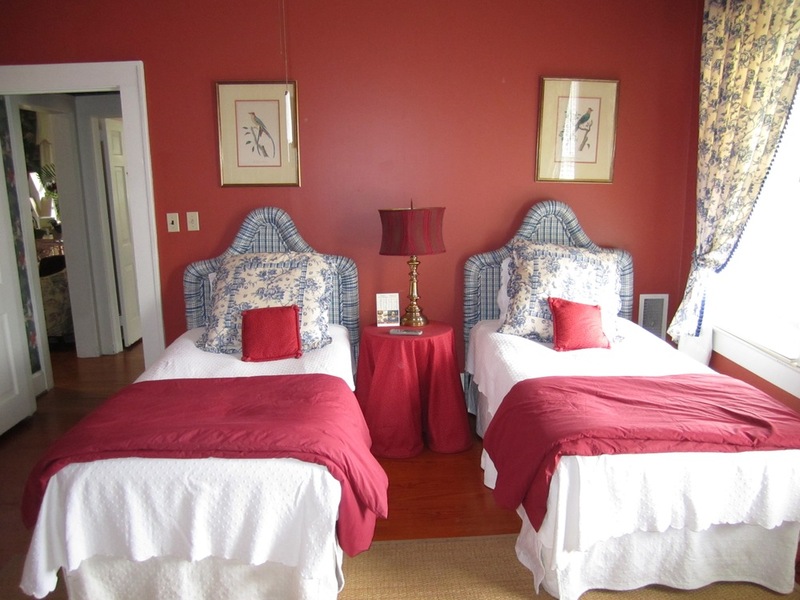 The North Carolina Room sleeps two in antique twin bed and includes a private bathroom. 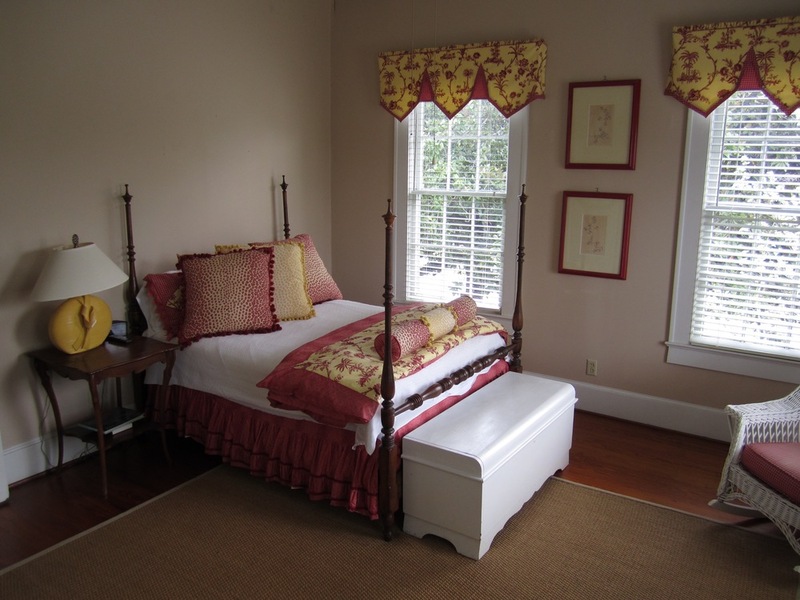 The South Carolina Room is tucked away privately and offers an antique walnut double bed and a private bath.